Lets start with my ultimate favourite product.. the Sugared Violet Hand and Body Lotion. If you remember the Palma Violet Sweets this smells exactly like them! Every time I put this on it brings back childhood memories. I have become obsessed with it, I have been applying it everyday. Not only does it smell incredible it is extremely hydrating which my skin really needs lately. 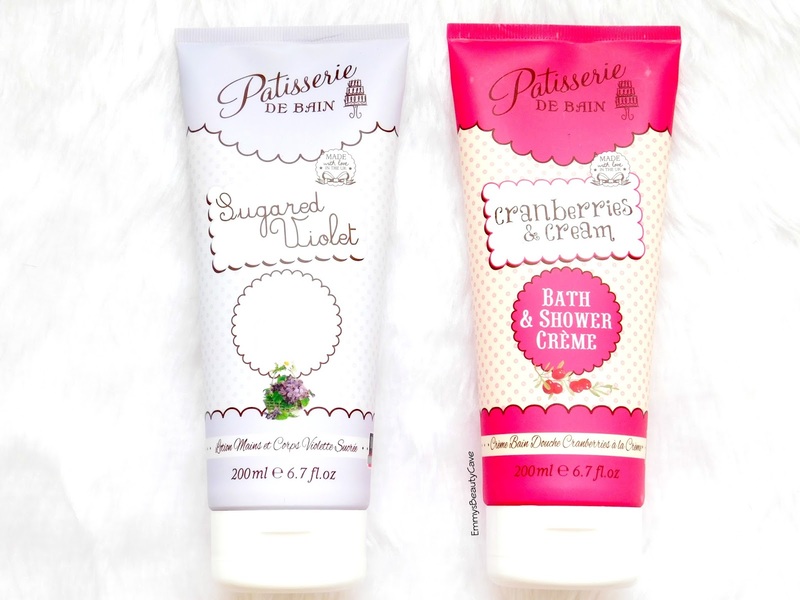 Secondly is the Cranberries and Cream Bath & Shower Creme, me and my mum have both been loving this. It has a lovely scent which I can't get enough of. I was worried it would be a bit of a sickly sweet smell but it really isn't. 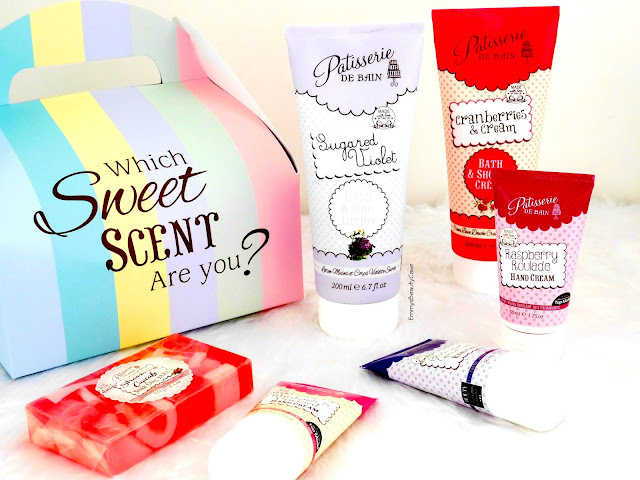 I also got sent three of the hand creams from the collection, Including Blackcurrant & Apricot Coulis, Raspberry Roulade and Rhubarb & Custard. My favourite out of the three has to be the Rhubarb & Custard one even though I don't like Rhubarb! The scent is just so yummy although every time I put this on my hands the scent makes me hungry! My mum quickly took the Blackcurrant one as she adores the smell. The hand creams are the perfect size to pop in your handbag and use on a daily basis. The cream sinks into the skin quickly and doesn't leave a tacky feeling. As soon as I run out of the Sugared Violet one I will be heading to the website to purchase one straight away as it is a total bargain at £4.99 for 200ml! 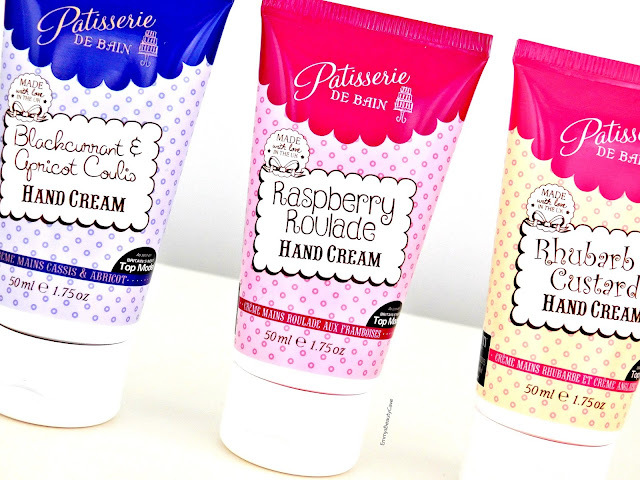 The hand creams retail for £3.99, the brand is super affordable and has the most unique scents. I have seen on the website they do a Sugared Violet Body Mist which I now need my life! Which Scent Would You Prefer?